Posted on April 9, 2019 . 3 Comments. 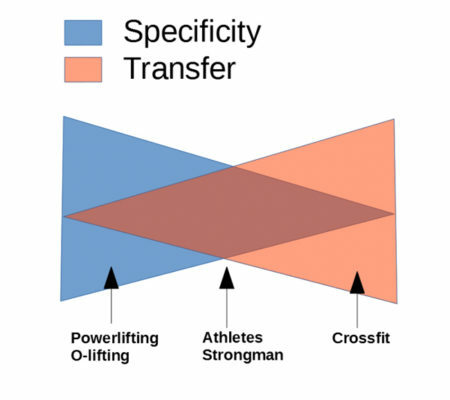 Specificity and transfer are two of the most important considerations for any strength and conditioning program. If you don’t consider both of these variables carefully, you are not really programming at all. Specificity refers to the principle that you get specific adaptations to imposed demands (often referred to as the SAID principle). You get better at what you train. Transfer refers to the degree to which a strength and conditioning program transfers benefits to the field of play or real-world activities. It would be great to think that you could simply design a program to maximize both of these important variables, but to some extent, training for one compromises the other. You have to make a trade-off decision between specificity and transfer. All training programs involve trade-off decisions. Let’s illustrate this trade-off with a quick example. Then we’ll explore specificity and transfer in a bit more detail, and finally, I’ll make some recommendations regarding the appropriate amount of trade-off and what that means in terms of writing strength and conditioning programs. Specialization works, but it comes at a cost. The primary cost is transfer. When you think about sports activities or everyday life activities, they are not isolated to a few angles, ranges of motion or movement speeds. There is no way that 3-4 lifts can train for all of the possibilities. The way to get transfer is variety. However, there is a trade-off. Too much variety can compromise progress towards developing strength and power. If you have too much variety, you never perform a lift often enough to really progress. You can’t really increase your bench press optimally if you are only bench pressing once per month. The figure above illustrates the relationship. When you have a lot of specificity, you generally have less transfer and vice versa. Strength sports athletes, who compete in one or a handful of lifts, like powerlifters or Olympic lifters, are not concerned with transfer to activities outside of the weight room. Their end goal is to improve their weight room lifts, specifically the competitive lifts. On the other end of the spectrum, you have programs like Crossfit, which contain a large amount of variability. A specific lift may not be performed twice in a 3-4 month period. In the middle is where most “ball sport” athletes train, where there is generally a strength bias, but plenty of variability that includes sport-specific drills and conditioning. To train a powerlifter with Crossfit would be a disaster but training a football player solely with a powerlifting program is also a mistake. Let’s discuss specificity and transfer in a bit more detail so that we understand why. To illustrate, we’ll discuss two aspects of specificity that apply to strength training. The graph on the left shows the results of strength testing of two different groups. Both groups trained on an isokinetic dynamometer (ID). The ID allows constant velocity contractions to be performed by keeping the speed of movement constant while allowing force to vary. In other words, once you set a movement speed, you can push as hard as you want, but the speed will remain constant. One group trained at 96 degrees per second (slow speed), the other at 239 degrees per second (fast speed). You can see from the graph that when strength was tested at various speeds, the fast speed group improved primarily at the speed at which they trained. The slow speed training group improved more at slower speeds of contraction. This is called velocity specificity. The next study (see graph below) demonstrates joint angle specificity. In this case, each group trained their elbow flexors (biceps) with isometric contractions at a specific joint angle. Again, after testing strength at different joint angles, you can see from the data that each group improved more at the joint angle that they used in training. This is called joint angle specificity. What are the implications of this kind of specificity? It is likely that the ranges of motion, planes of motion, and speed of movement used in training will experience the greatest adaptation (performance improvements), with adaptation decreasing the farther we get from those trained ranges and speeds. Not all fitness elements show the same degree of specificity. Some fitness elements are more specific and some less specific. The table below provides a generalized summary of what I have seen, studied, and experienced. Specificity can be a limitation. If we don’t train an ability, it is not likely to improve significantly. (Though all training modes have some degree of cross transfer. For example, kettlebell swings improving your deadlift). If we want to increase transfer to real-world (or field of play) activities, we generally do so with more variety. Real-world activities and the field of play for athletes are multi-dimensional, unbalanced, unpredictable, multi-planar, and done at a wide variety of speeds and loads. When we increase the variety of movements in a program, we increase the chance that a movement we encounter in real life was trained in our program. When we train a large number of joint angles, movement planes, and speeds, we “cover” a broader range of real-world movements. This is the very definition of training transfer. But transfer also comes with a price. That price is improved strength/power in specific exercises. If you want to improve a particular lift, like the bench press, you need to spend a lot of time bench pressing, which necessitates less variety because you have a limited amount of energy, time and recovery resources to work with, so you have to make a choice. Let’s put all of this information together with some specific training scenarios. This is a no brainer. Strength sport athletes compete in a few specific lifts, so program variety is generally low, and specificity high. When I was in graduate school, I worked at a powerlifting gym for a few years, called Silverback’s Gym. It was one of two powerlifting gyms in town and was known as the drug-free gym. We had a significant number of powerlifters who competed regularly, some of whom were very successful. We had an 18-year old who bench pressed 485 pounds and a quadruple bodyweight deadlifter (660lb deadlift at 165 pounds!). I learned a lot about powerlifting from training with and observing these athletes. Mostly they bench pressed, squatted and deadlifted. In the offseason, they occasionally incorporated a few assistance lifts like pull-ups, dips, presses, and cleans. But they treated the assistance lifts like accessories, putting much more planning, effort, volume and intensity into the primary power lifts. You would never catch them on the leg curl machine or doing tricep kick-backs. When it comes to training athletes, across a wide variety of sports, or training tactical athletes for the “unknown and unknowable,” it makes sense to bias the program towards strength. Master StrongFirst Instructor Doctor Michael Hartle has said, “During my life, I have not found one disadvantage from being strong. However, there are many disadvantages to being weak or not so strong.” Variety can be seen as something that has to be earned. Young or novice athletes are not strong enough yet to earn lots of variety. The fastest path to improvement in these athletes is to focus on getting strong at the basics. You could do worse than a basic powerlifting program to start. Bench press, squats, and deadlifts are a fine strength foundation. For athletes, I particularly like the Pendlay Total (push press, squat, clean) for athletes because the press uses more muscles than a bench press and the clean is an explosive lift that can improve power. Programming can include more than three lifts (and probably should). A reasonable approach would be to include 2-3 different lifts for each fundamental human movement (push, pull, hip hinge, squat, core-anti rotation). Though this group can benefit from a bit more variety than strength sport athletes, they should still be nearer the specificity end of the continuum than the variety end. Note, I don’t mean to say that kids should not be exposed to a variety of movements; they should. But when they start to specialize in a sport, say in high school, strength-biased training is vital. Kids have a naturally high degree of movement competency. They can jump, climb, crawl, tumble, do cartwheels, and climb trees with ease. Most can do a perfect squat without even thinking about it. By the time we reach our 20s, we begin to lose movement competency. At 40, many can no longer do cartwheels. By the time we reach old age, getting up out of the chair, balancing on one foot, and stepping up a curb can be a challenge. Without having consistently trained to maintain baseline strength, basic movement competency has greatly diminished. So has strength. For an older population, the fastest path to improvement is increasing movement competency. This is the opposite of what is often recommended. Most organizations would recommend using machine training for older adults due to their reduced movement competency. However, you can’t build much movement competency on a machine that, by design, limits your movement. For this group, rather than a strength bias using machines, a movement bias with lots of variety is more appropriate. In other words, we improve their movement repertoire first, then we load. We use crawling, walking while carrying a load, lots of work on the floor, and getting up from the floor, first unloaded, then loaded. Balance work is appropriate. Once we establish a wide range of quality movement, then we work on loading the movement. This is the opposite of the approach we used with novice athletes, where we worked on basic strength first, then added movement variety later. You can’t build much movement competency on a machine that, by design, limits your movement. This describes most of us. There is a tremendous amount of variety in this group, and this complicates the programming picture. Some people in this group should have a significant strength bias and others a significant variety bias. Fortunately, most of this can be sorted out by asking a simple question. Are you strong enough? Obviously, this is highly individual. An accountant whose hobbies include reading and painting does not need much strength. But an auto mechanic who likes to play rugby on the weekends does. This is a case by case issue. One rule of thumb is that if you have to pick up odd objects (in life or on your job), you should be able to pick up three times that amount of weight in the weight room. In other words, if you can’t deadlift at least 150 pounds, you shouldn’t be picking up a 50lb bag of concrete. If you have hobbies that require significant strength (i.e., collision sports like rugby, or soccer that puts high demands on your knees, or Jiujitsu), you should have a strength bias until you are strong enough, and work to maintain that. There are no clear answers. This is a judgment call. For athletes, Brett Jones (StrongFirst Director of Education) and Rob Shaul (President/Founder at Mountain Tactical Institute) provide some guidance below. These are recommendations for athletes and experienced strength enthusiasts (Brett Jones) and tactical athletes (Rob Shaul), so they are the upper limit for recreational athletes. For the everyday Joe or Jane, programming should have a strength bias until “strong enough” is achieved, then variety can be emphasized. A strength bias program could be similar to what was recommended for novice athletes, but there are other options. It is hard to beat Simple and Sinister for a strength bias base for the everyday Joe or Jane. The rich movement complexity of the one arm swing and get-up are hard to beat. The swing provides a strong core component, anti-rotation, a strong hip hinge, grip strength, and power production. The get-up involves a multitude of joint angles and movement planes. The complexity of these movements leads to lots of transfer, even with only two lifts. 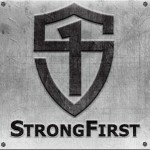 Other strength biased options include basic StrongFirst barbell or bodyweight strength programs. What about the accountant we mentioned, or someone like me who has very modest strength needs? My most significant day to day strength challenge is loading my mountain bike and camping gear into my van to go camping (which I do often) or carrying groceries. Besides the weight room, I can’t remember the last time I lifted anything heavier than 40lbs. It takes very little strength focus for me to have adequate strength for these tasks. That leaves open the possibility of lots of variety. I can maintain adequate strength (adequate for my lifestyle) with a highly variable program. The advantage is that I get lots of transfer and my training can be fun. A person in my situation can explore kettlebells, TRX, bodyweight training or barbells in blocks or in mix-and-match training throughout the week. Not only does it keep my workouts interesting, but it also helps me to maintain movement competency. Because my job or sport does not require me to optimize for strength, I can employ lots of variety. Once you are “strong enough” it makes sense to bias your program towards more variety (and as a result, movement competency). With kettlebell, bodyweight, and barbell systems, StrongFirst provides plenty of options to design a strength biased or movement biased program. Designing a strength and conditioning program is primarily about managing compromises. Despite what is claimed by some systems, you truly cannot have it all, at least not at optimal levels. Something has to be compromised. Thinking about and deliberately planning for specificity and transfer is the key to designing productive training programs. 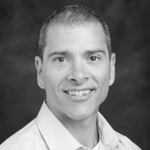 Mike is an active and valuable contributor to our StrongFirst forum. He holds a PhD in exercise physiology from Louisiana State University. He specialized in muscle physiology and metabolism. He has trained athletes for many different sports including triathlon, ultra-running, surfing, powerlifting, bodybuilding, mixed martial arts, football, basketball and more. After finishing his PhD, he took a commission in the U.S. Navy as an Aerospace Physiologist in the Navy Medical Service Corps. He trained thousands of aviators and aircrew on survival techniques, physiology, and human performance. He also served as the Director of the Human Performance Laboratory at the U.S. Naval Academy, where he performed physiological testing of athletes to improve performance. He has taught Exercise Physiology, Strength and Conditioning Laboratory and Anatomy and Physiology Laboratory at Loyola Marymount University. He has over 25 years of experience in working with athletes. An excellent and very important article. 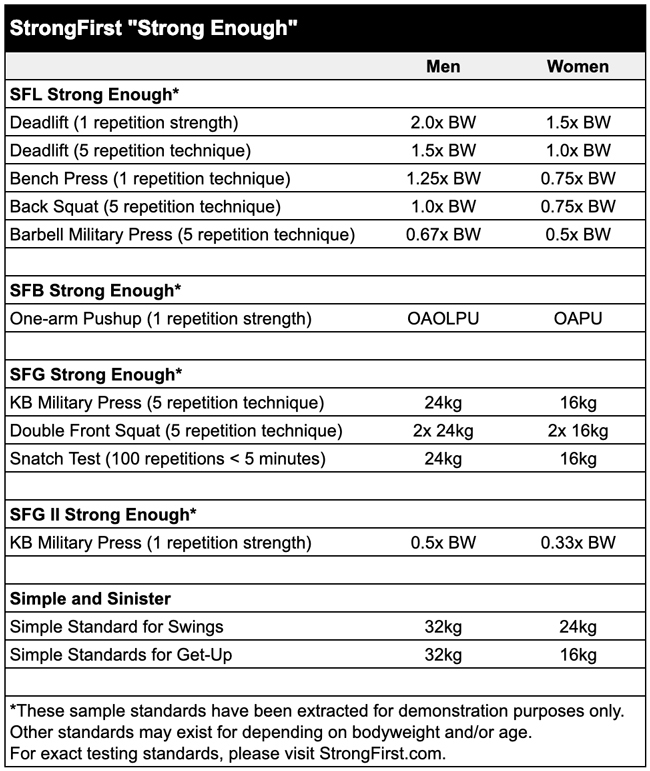 Decent article, especially in distinguishing different groups for strength requirements. However, I’m always left wondering where the numbers for women’s upper body lifts are derived from (not just you, but from other strength experts). I’m 5′ 11″, about 155 lbs (age not really relevant to the question) and have been lifting for a LONG time, including powerlifting competition at national and international levels. Based on your tables, “Strong Enough” should see me able to bench press 116.25 or 155 (1RM), and push press 108.5. These numbers for women are ludicrous for “strong enough”. Your numbers are not the only ludicrously high ones I’ve seen posted for women from other strength sources. What is the source of the data supporting these, or are they just an extrapolation based on men? to see the full requirements for our SFL program. Your numbers are not the only ludicrously high ones I’ve seen posted for women from other strength sources. Our numbers are from the above link, but at the above link, they are given in more detail, including the different numbers for Masters’ athletes. 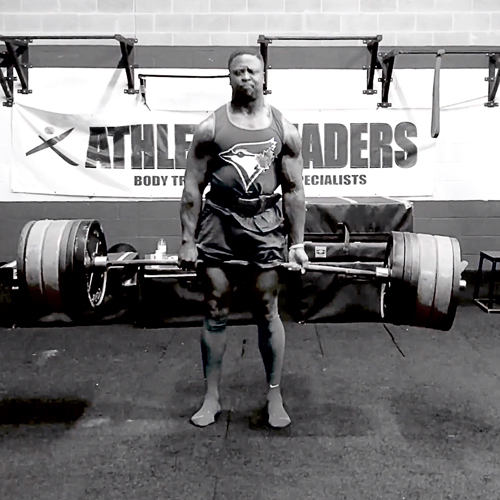 The bodyweight requirement is for the deadlift. The bench press requirement is the lower number. I hope I’ve addressed the questions and issues you’ve raised. Thank you very much for your comment.